Teaching Leading Learning: Getting going with growing! 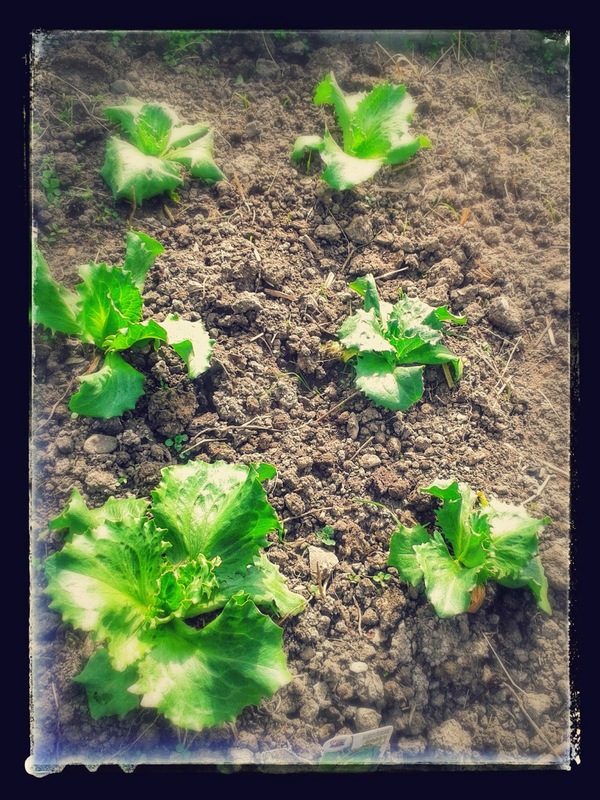 It is spring time here and I have started vegetable gardening this season with the vision of slowly building up skill and hopefully crops over the coming months. It gets me out of the house, away from the computer (unless I am looking up information about gardening!) and working with nature. It gives me a new place to let my mind wander or to practice mindfulness depending on what I am needing at the time. It improves health and wellbeing before we even get to eating! 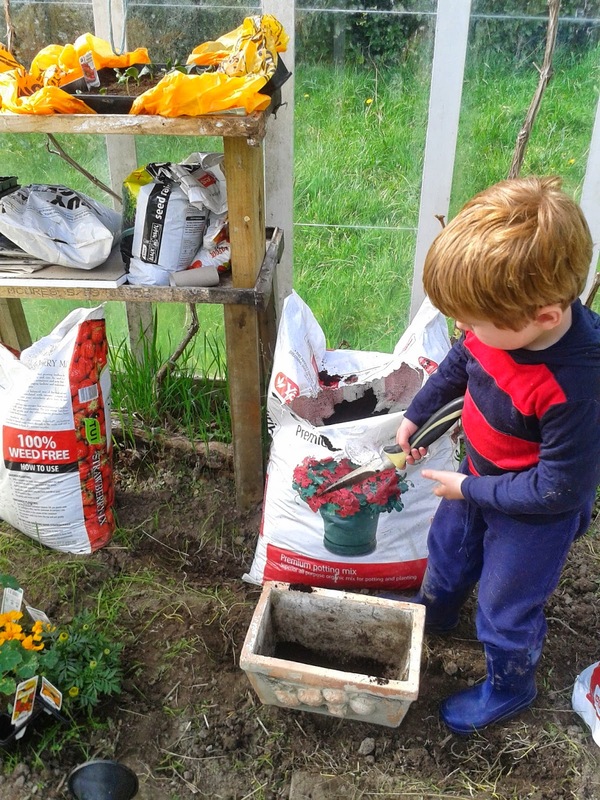 Our little boy is building an understanding and appreciation of where food can come from. He is learning about nurturing the plants to help them grow. It is another way that he can contribute to our family and hopefully share with others too. It brings me closer to my dad. Dad was a great gardener and we always had a bounty of fresh vegetables from his garden which I never fully appreciated until recently. It brings our little family closer together. We are all involved in building up our garden and on good days we are all working together in and around the garden. I am looking forward to eating our food together too. 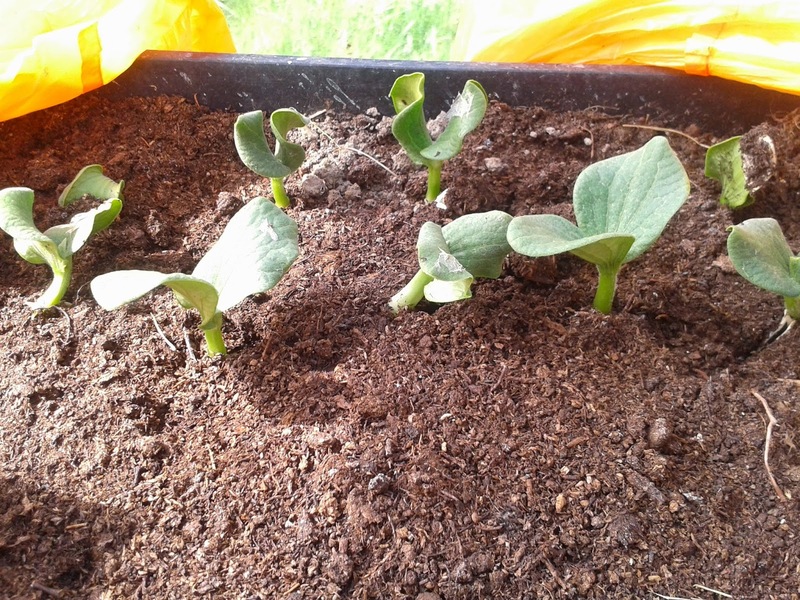 It is cost effective, especially with the pumpkins I am growing as the seed came from a pumpkin we ate recently! As I learn to harvest seed from our plants this will be more so in coming years I hope. It is providing me with an opportunity to reuse/recycle/repurpose. 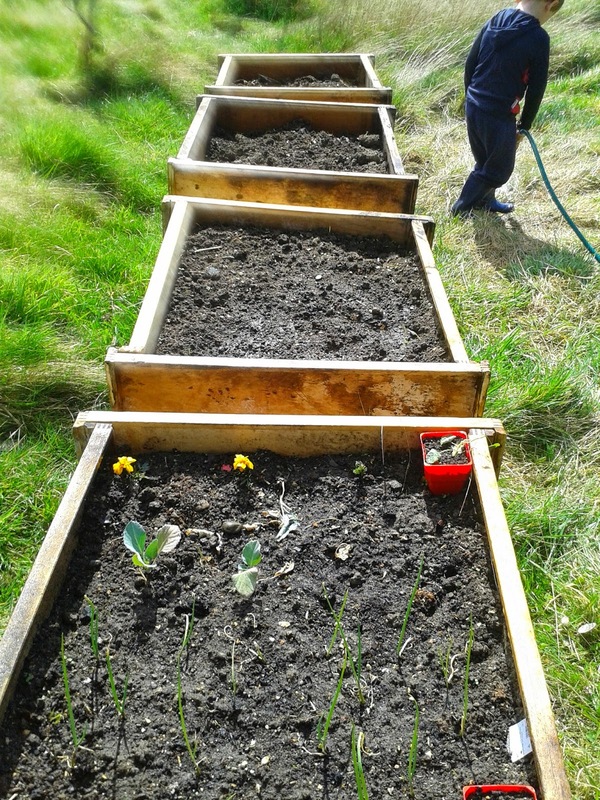 We have used old trays to make square vegetable plots/beds. We have also used some trays and other wood off cuts to make a shelf/table for potting and seed raising. Plastic bags have been used to provide a warm cover for seed trays and also as a temporary fix for a couple of broken glass panes in the glasshouse. We have used my father's old drum for making our seaweed fertiliser in and are reusing one of his compost bins too. There are many small successes to celebrate on the way to getting something to eat out of the garden. Seeing a plot planted out, seeds coming up, plants growing, weeds abating a little... all the little things help to make you feel like you are achieving something and that is good for the soul. For all the reasons above and probably many more, I encourage any would be gardeners to give it a go. 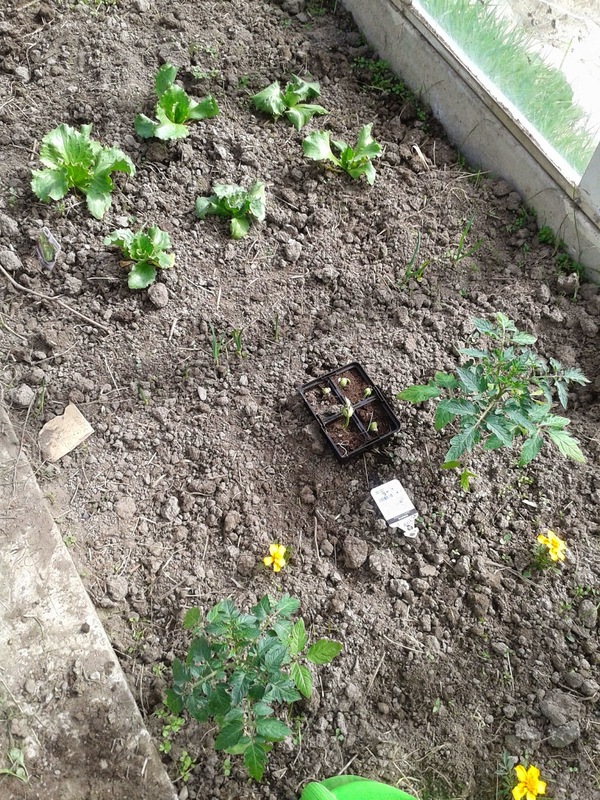 We are going with trial and error, using some companion planting and other methods to reduce pesticides (and for aesthetics too, putting marigolds in with the vegetable plots looks pretty). There is a wealth of information online and people in our communities with a wealth of knowledge too. Why teach writing in school?